We’re not just your driver, we’re your hosts! 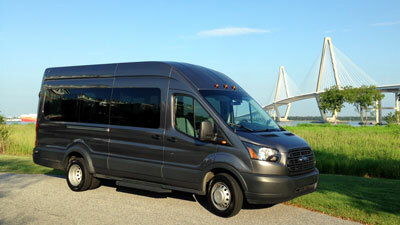 Holy City Transportation is a unique shuttle bus company offering private transportation service in beautiful Charleston, SC. We are owned by 4th generation Charlestonians and pride ourselves on your satisfaction. Give us a call so we can chat about what we can do to satisfy your transportation needs during your time in Charleston. Our transportation is an event in it’s self.